These marinated top round steaks can be cooked on the grill, under the broiler, using the stovetop, or electric grill for the steaks. The steaks should marinate in the refrigerator for at least 4 hours. Marinate them in a sealed plastic food storage bag, or any nonreactive container or bowl. Turn the steaks frequently to keep them coated. Top round is a lean and flavorful cut and is also easy on the budget. It's best when marinated and cooked to medium-rare (145 F). Serve the steak sliced thinly against the grain. 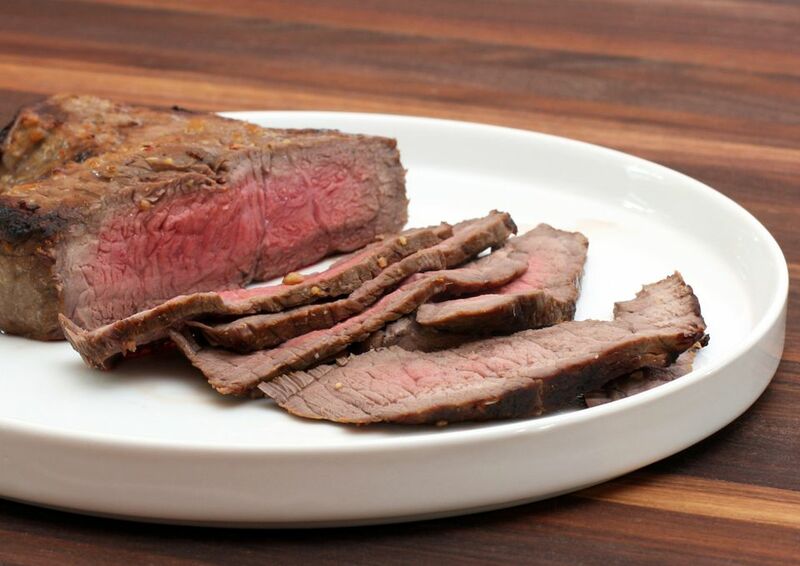 You may substitute flank steak, London broil, or round steak for top round steaks. Combine the oil, vinegar, soy sauce, Worcestershire, ketchup, mustard, garlic, pepper, oregano, and crushed red pepper flakes. Put the steak in a large food storage bag or nonreactive container and pour the marinade over the steak. Turn to coat the steak, seal the bag, and refrigerate for 4 to 8 hours. If the steak isn't completely coated with the marinade, turn it frequently. Broil the steak about 2 to 3 inches from the heat source for about 6 to 9 minutes on each side, depending on thickness. Remove steaks from the broiler and let rest for 3 to 5 minutes before serving. Slice, serve with your choice of sides, and enjoy! Grill over medium coals for about 5 to 10 minutes on each side or until the steak is done as desired. Remove steaks from the grill and let rest for 3 to 5 minutes before serving. Please keep in mind, that according to Foodsafety.gov, 145 F is the minimum safe temperature for beef, pork, and lamb.